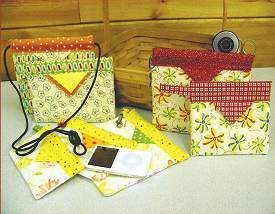 Stitchin’ Sisters designs patterns for quilts, wall hangings, table runners and bags that are fun, creative and geared to every level of quilter. Bags, totes and purses are easily constructed with inventive ways to use every day tools for enhancement. The Snap Happy line is especially popular with closures made from a metal carpenter tape. It’s magic and so fun! Many patterns are imitative with what nature gives us to enjoy, the beauty of flowers, leaves and birds. Our table runners or small quilts will help bring nature indoors as you celebrate the seasons. Applique’ patterns are as easy as coloring outside the lines, using a fusible application and a raw edge “scribbling technique” that is easy and fast and gives wonderful soft edge results which makes the patterns come alive. 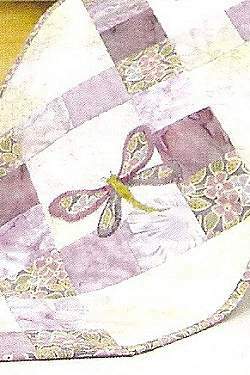 Stitchin’ Sisters is all about the connections quilting brings to others and how the patterns and designs created enhance our lives. 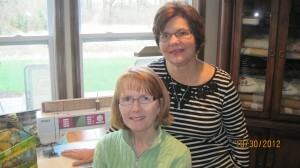 From the very beginning Stitchin’ Sisters developed a statement of purpose that the business strives to live by. Learn more about where philosophy has led the business on the about us page.